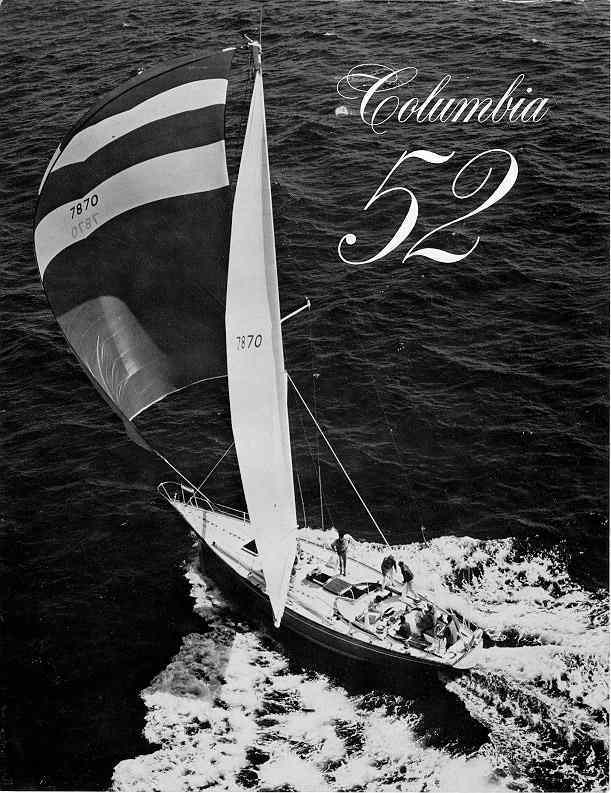 I just got back from a trip to San Diego where I saw an advertisement for a 1971 Columbia 52. The boat was described as Bill Tripp's last boat, and that only 7 were made. The boat is flush deck with standup, two person, two hands coffee grinders instead of traditional winches (these also appeared on the C57). 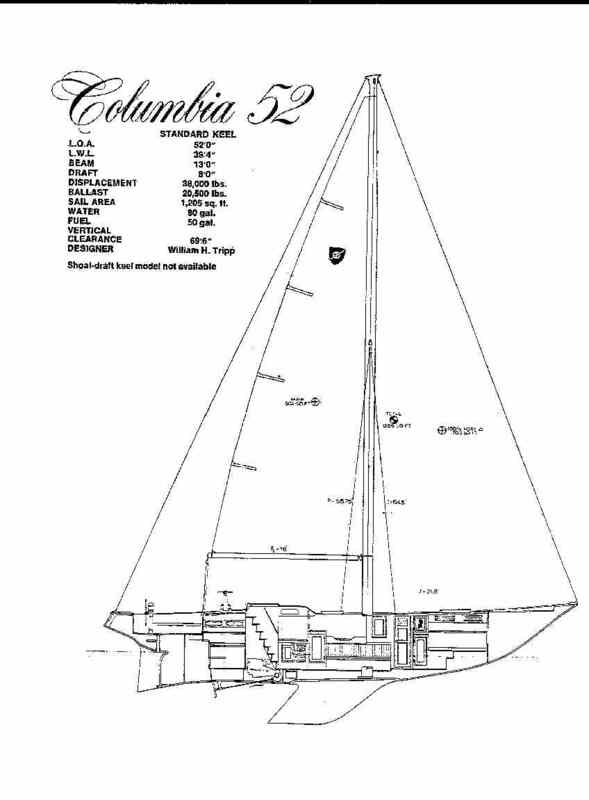 I follow and collect info on Columbias, but I have never run across this boat before. It looks very similar to the C57 without a cabin. I believe that 10 Columbia 52's were made. The last one was cut in two and lengthen. I have #9. I purchased it has a "bare" hull. 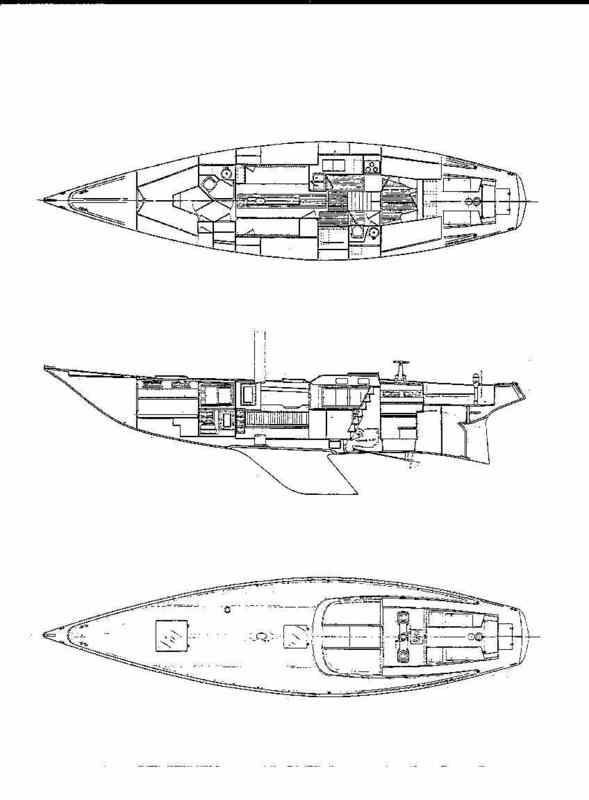 The keel (Tribute's original one - Tribute was the first 52) was attached. Deck was on. Diesel was installed. The inside was a bare fiberglass cavern. I purchased the hull from Columbia as they were going out of business in fall of 1973. I launched Victoria on 18 August 1974. For many years I sailed her out of Los Angeles Yacht Club. She is now at Apollo Beach, Florida. I expect to sail her to Galveston, TX early this summer and then truck her back to the West Coast. With a draft of 8 feet, the West Coast of Florida is not for Victoria. I've been told that the first C-52 made was called Tribute in honor of the then recently deceased Bill Tripp. I was also told that it was for sale in southern California in '98. An interesting construction detail that I received from a former Columbia employee is that the keel was poured molded lead over a steel backbone.